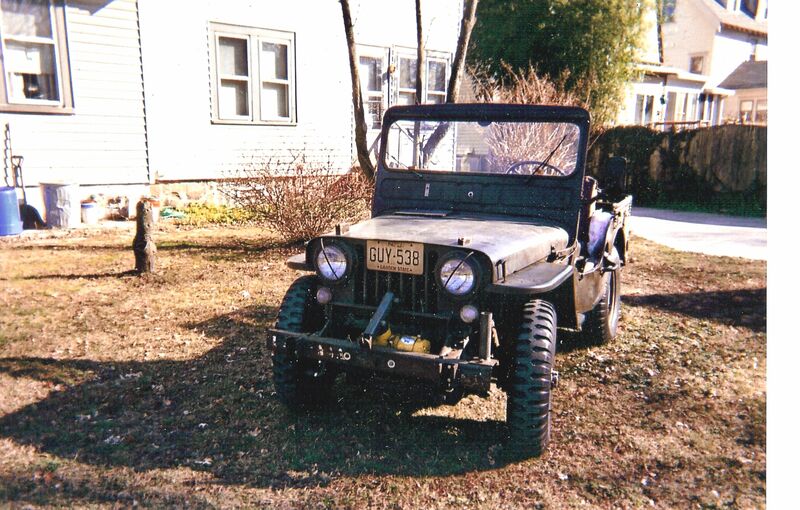 Every now and then a time capsule appears, these are jeeps or other antique cars that have a history to them, usually a limited ownership record, and were well cared for. The photos here were taken a couple years ago but this Jeep has changed little since then. This M38 rolled off the line in 1951. After a stint in the Army it went on loan to the post office in Philadelphia. Then it went to auction in 1953 and its current owner, Joe, purchased it. Joe had to install a new engine in the M38 to get it rolling again after purchase. Since then he has collected spare parts for it, kept the M38 in a garage and used it for winter snow plowing. The M38 still runs a 24 volt system, and was not bent or damaged by the snowplow. Joe has the original paperwork from the Army for the jeep, as well as a collection of spare parts. He even has the original top bows and top. 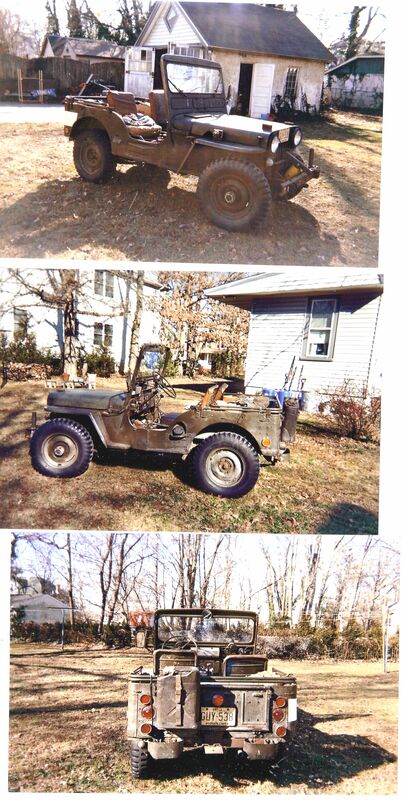 Joe is selling the M38 now, and is looking for $9500 or best offer. If you are interested drop me a note using the contact information in our restoration shop section. The Jeep is in Merchantville, NJ.